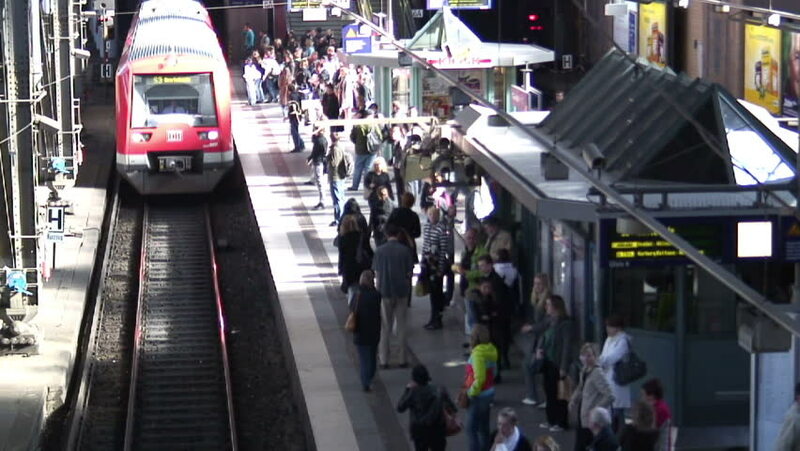 hd00:12BASEL, SWITZERLAND - CIRCA MAY 2015: Walk into a train at the main train station of Basel city. Located where the Swiss, French and German borders meet, Basel also has suburbs in France and Germany. 4k00:16BANGKOK, THAILAND - MARCH 28, 2018 : Many passengers traveling and waiting for the train from Bang Wa to Mo Chit at Siam Sky Train Station (BTS) in Thailand. hd00:10Frankfurt, Germany - October 18, 2014: ICE and TGV, German and French highspeed trains standing next to each other on a railway station platform at Frankfurt station during strike of train drivers. 4k00:15PARIS, FRANCE - AUTUMN, 2015: Metro in Paris. The train in the subway. Shot in 4K (ultra-high definition (UHD)). 4k00:17Amsterdam, Holland. May 2, 2015. Large crowd of travelers on platforms of Amsterdam Central Station waiting for trains and getting on and off trains. Time lapse.